I came to Canada in June 18th, 2010, and after coming here I started studying for evaluating exam 6th Sept. I took canada qbank and practiced and went for exam. Although I did not get expected score but I passed it in first attempt. It is really difficult to study after a long break and at the age of 50ties. 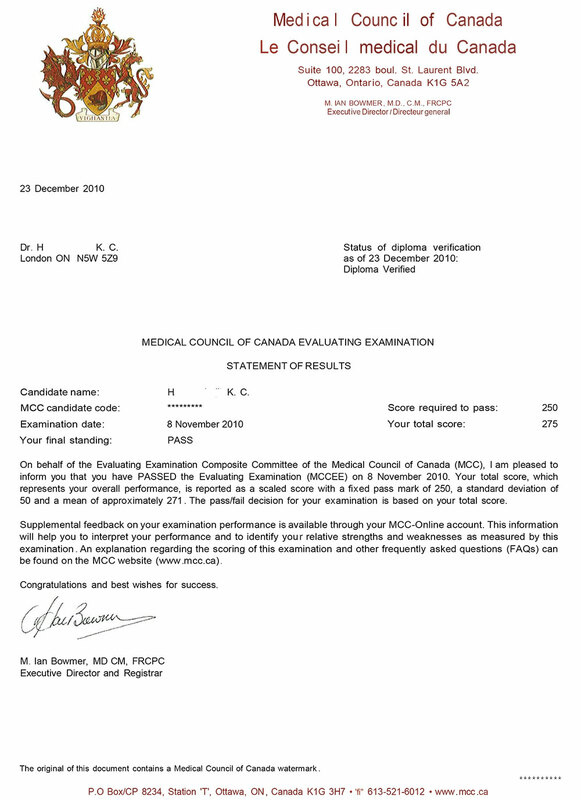 It is all due to canadaqbank that I could make it happen now I am appearing in MCCQE1 on 9th May and have already taken this qbank and practicing on it. I have advised 4 people in access centre London ontario who are studying for 1 year and did not dare to appear in exam yet. I recomend all doctors preparing for MCC licencing exam that it is really helpful to study with this qbank. I thank Canada qbank team for their efforts to help IMGs.